Friday, May 9 to Sunday, May 11 from 10:00 am to 4:00 pm. Island Alpaca hosts an open house this weekend, where you can tour the facilities and visit the alpacas. Suggested donation of $5. Near the roundabout, see website for directions. For more info, call 508 693-5554. Celebrate Spring by helping care for Mytoi Garden. Spend the morning with The Trustees of Reservations at the Island’s only public Japanese-style garden. Bring your own work gloves, rakes, and shovels. For more info, call 508 693-7662. 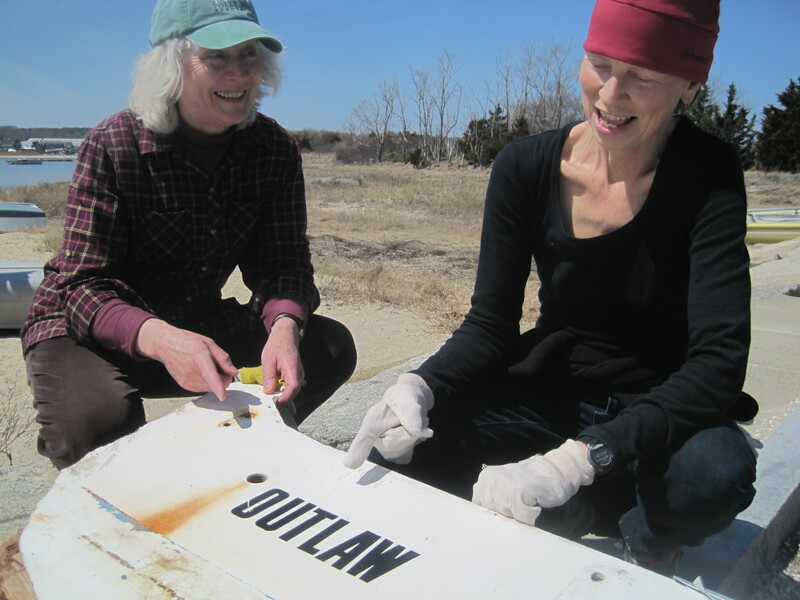 Saturday, May 10, 10:00 am to noon, West Tisbury. Also that Saturday, the Trustees host another volunteer day at Long Point, where they will be planting out endangered native plants, such as New England Blazing Star and Orange Milkweed. Additionally, pollinator boxes will be built and installed to encourage the pollination and reproduction of these flowers by native bee species. For more information, call 508 693-7662. Saturday, May 10, 9:30 am to noon, Edgartown. Learn to recognize and prepare wild edibles with director Suzan Bellincampi. $30 ($25 for members), for more info call 508 627-4850. Tuesday, May 13, 10:00 to 11:00 am, Edgartown. Wednesday, May 21, 10:00 am to noon. Hear about volunteer opportunities at the Polly Hill Arboretum with executive director Tim Boland and other staff. Participants will tour the plant collections, review Arboretum history, and learn what goes on behind the scenes at PHA. Free and open to all. Call to register, 508 693-9426. Nature program for newborns through 5 years old, accompanied by parent. Donation by choice. To RSVP, and for more info and directions call 508 645-2008. Visit the animals and help plant the Friendship Garden at the FARM Institute. For ages 2-5, must be accompanied by adult. $15 per session. For more info, see website or call 508 627-7007. 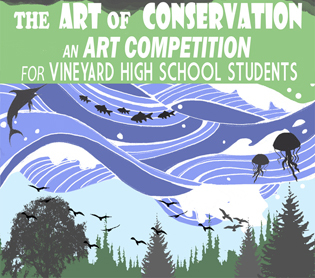 The Art of Conservation, the first nature-themed art contest sponsored by VCS, is drawing to a close. Entries (nearly a hundred) are in and the judging is done – and the first opportunity to view the results of our students’ skill, creativity and passion is finally here! Join VCS this Saturday (May 10) in the Feldman Family Artspace at the MV Film Center (in Tisbury Marketplace) to enjoy and appreciate the winning students' works, share their enthusiasm as they receive their awards, and enjoy a terrific documentary short film. The art opening begins at 3:30, with awards presented at 4:30. The 30-minute film Inocente – the story of a high school student pursing her art against all odds – starts at 5:00. Entry to all parts of the event is free. We would like to thank everyone who has helped make this event such a success: Educomp, DaRosa's, the Scottish Bakehouse, Mocha Motts, Tisberry, The Martha's Vineyard Film Center and Martha's Vineyard Framing. Pioneers of the early days of the Beach Clean-up, Penny Uhlendorf and Margaret Curtin excavate the Outlaw, once someone's prized vessel, now mere beach garbage. Photo by Nancy Weaver. For more photos, see our slideshow. Probably due to the beautiful weather, the 22nd annual VCS Earth Day Beach Clean-up saw a record turnout. Approximately 250 people ventured out from the shadows of a long winter to visit treasured Vineyard beaches on a sunny day, collectively removing a few tons of trash. The annual oddities were a bit subdued this year (no couches! ), featuring only a few TVs on the “biggest and weirdest” list. The more important “mundane-yet-terrible” category shaded away from balloons a bit this year, in favor of that old standby, bottles and cans (see last story here for why balloons are so harmful). A modest improvement for wildlife, at least! Thanks to all who attended, the volunteers who helped organize the event, and our sponsors. For the second year, the after-party was hosted by the Harbor View Hotel and featured their own great food and donated treats from the Scottish Bakehouse. Other major sponsors included Bunch of Grapes, Comcast Cares, MV Savings Bank, S.B.S., and WMVY (who broadcast live from Eastville Beach). Air pollution does not observe political boundaries. The particulate matter (such as sulfur and nitrogen oxides) that causes smog and health problems easily crosses local, state, and national borders, fanning outward from point and non-point sources wherever the wind and air currents takes it. Thus, regulation and attribution of responsibility for the effects of air pollution are especially vexing legally, as the source may be in a state less concerned with air quality than industry, and the destinations multiple and varied. In a recent Supreme Court ruling, the justices voted 6-2 in favor of restoring an EPA regulation that would require power plants in 28 states to lower their emissions because of their impact on downwind states. Further, due to the impossible complexity of accurately parsing blame for the impacts on downwind states, the amount of reduction required would be based in part on how much (or little) a given state had itself done to address their pollution to date. It is potentially an enormously important ruling for at least two reasons. The first is relatively straightforward: significant gains to public health, and the environmental issue surrounding it. Restrictions on these particulate emissions will hit coal-fired power plants the hardest, further pushing out coal in favor of natural gas and renewable sources for electricity generation. Accompanying the respiratory health benefit is an improvement in carbon emissions as well, though that could be short-sighted if it largely means replacement of coal with natural gas (see final story here). But the other significance of the ruling is that it appears to be an endorsement by the Court of the Obama Administration’s efforts to use the Clean Air Act more broadly, including as a backdoor avenue for reducing carbon emissions. The simple fact that it was not a tremendously close call (6-2 in favor, rather than 5-4) suggests that in the near-term other environmental regulations may get a fair hearing and not be rejected on purely political grounds. And the greenhouse effect is an entirely global phenomenon: where you live may matter quite a bit in regard to the results of climate change – sea level rise, changed rainfall patterns, new diseases and invasive species – but your proximity to a sulfur-belching carbon-burning coal plant is irrelevant in regard to the causes of those effects. We’re all in that boat together.